Mihai G, Mirancea I (2016). Age trends in genetic parameters for growth and quality traits in Abies alba. iForest 9: 954-959. Genetic parameters for growth, stem straightness, survival, wood density and percentage of late wood were estimated in a progeny test of European silver fir (Abies alba Mill.) established in Romania in 1980. The experiment was conducted on 95 families collected from 10 natural stands and five provenance regions, and trait measurements were taken 6-34 years after planting. The family effect was highly significant for 14 traits and significant for one trait. The additive genetic variance increased with age for all the studied traits, and family heritability was higher than individual heritability. Stem diameter, volume per tree, wood density and late wood were the traits with the highest heritability. The trend of individual and half-sib family heritability estimates decreased between 6 and 15 years of age for height and between 6 and 10 years for diameter, while both height and diameter heritabilities were stable at older ages. High age-age genetic correlations were observed, though genetic correlations between growth and wood density were weak. Selection at age 6-10 could increase genetic gain in volume in mature silver fir trees. Selection based on family breeding values combined with within-family selection is recommended to maximize genetic gain in breeding activities in silver fir. Comparison of selection methods for improving volume growth in young coastal Douglas fir. Silvae Genetica 39: 5-6. Intra-population and inter-population variability of some morphological and physiological characteristics of the silver fir (Abies alba Mill.) in one part of the natural range in Bosnia and Herzegovina. Annales Forestales 24 (1): 1-23. Provenance and family variation of Silver fir (Abies alba Mill.) in the experiment established in the Siemianice Forest Experimental Station in 1996. 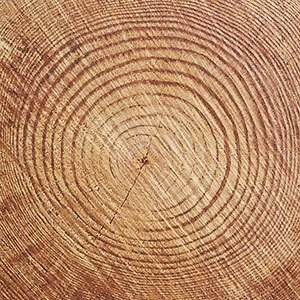 Annals of Warsaw University of Life Sciences - SGGW, Forestry and Wood Technology 73: 51-64. Manual of procedures in quantitative genetics (2nd edn). Academic Enterprise, Pullman, WA, USA, pp. 124. Heritabilities and additive genetic coefficients of variation in forest trees. Canadian Journal of Forest Research 24: 372-379. Early selection of Douglas fir across south-central coastal Oregon, USA. Silvae Genetica 55 (3): 135-141. Techniques for research in quantitative animal genetics. Techniques and procedures in animal science research. American Society of Animal Science, New York, USA, pp. 36-79. Genetic parameters for slash pine (Pinus elliotti) grown in south-east Queensland, Australia: growth, stem straightness and crown defects. Forest Genetics 3 (1): 27-36. Morphological variation in silver fir (Abies alba Mill.) seedlings from provenances in central and southern Italy. Annali dell’Instituto Sperimentale per la Selvicoltura (Arezzo, Italy) 22: 53-73. Introduction to quantitative genetics (2nd edn). Longman and Co., New York, USA, pp. 340. Introduction to quantitative genetics (4th edn). Longman and Co., Harlow, NY, USA, pp. 360. Trends in genetic parameters with stand development and their influence on early selection for volume growth in loblolly pine. Forest Science 32: 944-959. Model relating levels of genetic variance to stand development of four North American conifers. Silvae Genetica 28: 207-212. Different origins silver fir (Abies alba Mill.) growth study in provenance trials. In: “Ergebnisse des 4. Tannen-Symposium” (Kramer W ed). Schriftenreihe ausder Forstlichen Fakultat der Universitat Gottingen undder Niedersachsischen Forstlichen Versuchsanstalt 80: 278-286. Comparative study on the growth of half-sib families of selected trees of Abies alba (Mill.) and Abies borisii-regis (Mattf.) from Bulgarian and Macedonian provenances. In: Proceedings of the 11th International Silver Fir Symposium “Challenges for the Management of European Silver Fir (Abies alba Mill.) under Changing Climatic and Economic Conditions”. Poiana Brasov (Romania) 4-9 Sep 2005. Forest Research and Management Institute, Bucharest, Romania, pp. 23. Progeny trial estimates of genetic parameters for growth and quality traits in Scots pine. Silva Fennica 31 (1): 3-12. Time trends in genetic parameter estimates and selection efficiency for Scots pine in relation to field testing method. Forest Genetics 8: 129-144. European silver fir (Abies alba Mill.) provenances from Calabria, southern Italy: 15-year results from Danish provenance field trials. European Journal of Forest Research 123: 127-138. Genetic parameter estimates for growth traits at different ages in slash pine and some implications for breeding. Silvae Genetica 41: 4-5. Time trends in age-age covariances and correlations-examples from Norway spruce clones. Silvae Genetica 42 (4-5): 175-179. Genetic variation of silver fir populations (Abies alba Mill.) in Switzerland. Forest Genetics 6 (2): 101-113. Genetic variation in Pinus brutia Ten. in Turkey: I. Growth, biomass and stem quality traits. Forest Genetics 6 (2): 89-99. Time trends in genetic parameters for height and optimum age for parental selection in Scots pine. Forest Science 49: 696-705. Effects of provenance on the survival, growth and stem form of European silver fir (Abies alba Mill.) in Britain. European Journal of Forest Research 134: 349-363. The geographical distribution of genetic variation of silver fir in relation to its migration history. Plant Systematics and Evolution 196: 19-30. Genetics and breeding of the silver fir (Abies alba Mill). Annales Forestales 9 (5): 151-184. Abies alba provenance research in the Netherlands. In: “Ergebnisse des 7. Weißtannensymposiums der WP S.1.01-08” (Eder W ed). Altensteig, Germany, pp. 369-381. Genetic variation of European silver fir (Abies alba Mill.) in the Western Carpathians. Journal of Forest Science 47: 429-438. Genetics and analysis of quantitative traits. Sinauer Associates, Sunderland, MA, USA, pp. 980. Results of the international fir provenance trial, Wien, 1967/78. Growth and morphology of the provenances. Centralblat fur das gesamte Fortswesen 99: 169-191. Genetic variation and breeding of silver fir in Romania. Analele ICAS 50: 27-44. Variation of the quantitative traits in a progeny test of Abies alba (Mill.) at the nursery stage. Silvae Genetica 63 (6): 275-284. Genetic variation within European tree species. Kluwer Academic Publisher, Frankfurt am Main, Germany, pp. 23-47. Introduction to quantitative genetics in forestry. Technical Bulletin 1588, USDA Forest Service, Washington, DC, USA, pp. 342. Tree breeding: principles and strategies. Springer-Verlag, New York, USA, pp. 180. National Forest Inventory 2012. Web site. Gain and diversity in advanced-generation coastal Douglas fir selections for seed production populations. Tree Genetics and Genomes 4: 193-200. Genetic variation in height and volume of loblolly pine open-pollinated families during canopy closure. Silvae Genetica 48: 204-208. An advanced-generation tree-improvement plan for slash pine in the south-eastern United States. Silvae Genetica 42 (6): 359-370. Silver fir provenances: recent results related to provenance research of Abies alba Mill. (Wolf H ed). Ecomed-Verlag, Landsberg am Lech, Germany, pp. 150. Early selection for improving volume growth in coastal Douglas fir breeding programs. Silvae Genetica 61: 4-5. Applied forest tree improvement. John Wiley and Sons, New York, USA, pp. 505. Genetics of wood production. Springer Series in Wood Science, Heidelberg, Germany, pp. 337.